4 images. 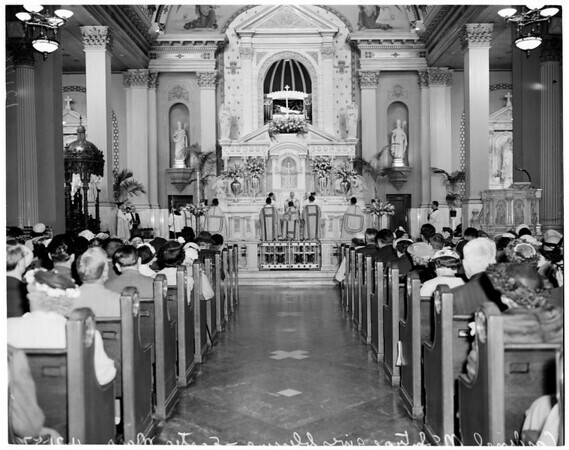 Easter High Mass at St. Vibiana's, 21 April 1957. James Francis Cardinal McIntyre.